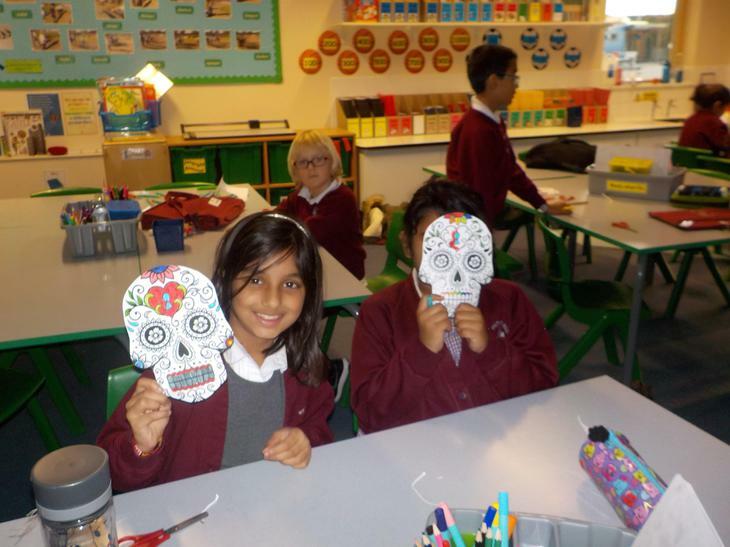 Bienvenidos (welcome) to Whitings Hill Spanish Zone. 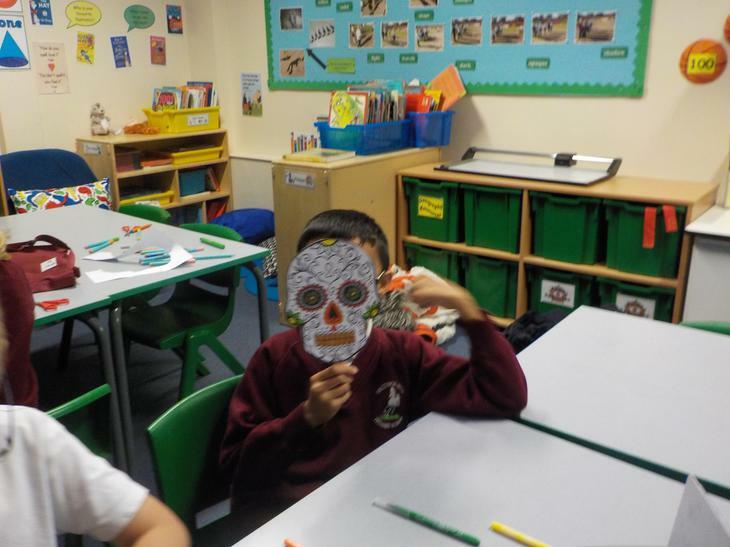 This is where you can find out what we learn in our Spanish lessons. 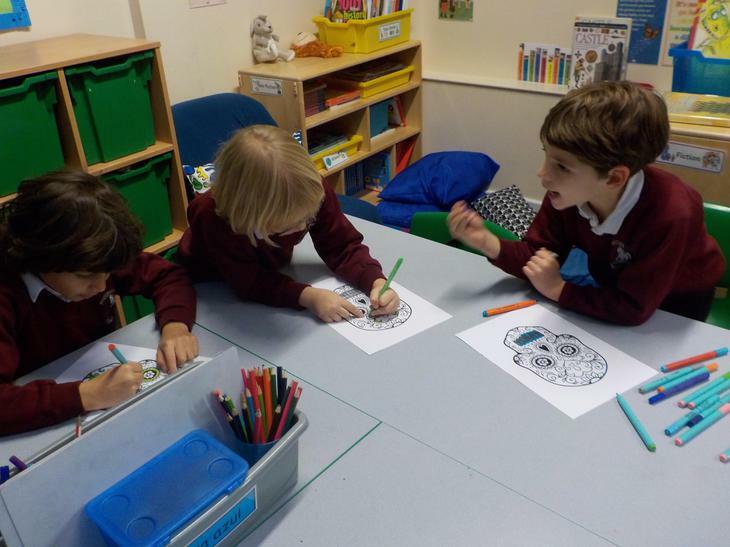 There are links to games for you to play to test and improve your vocabulary. 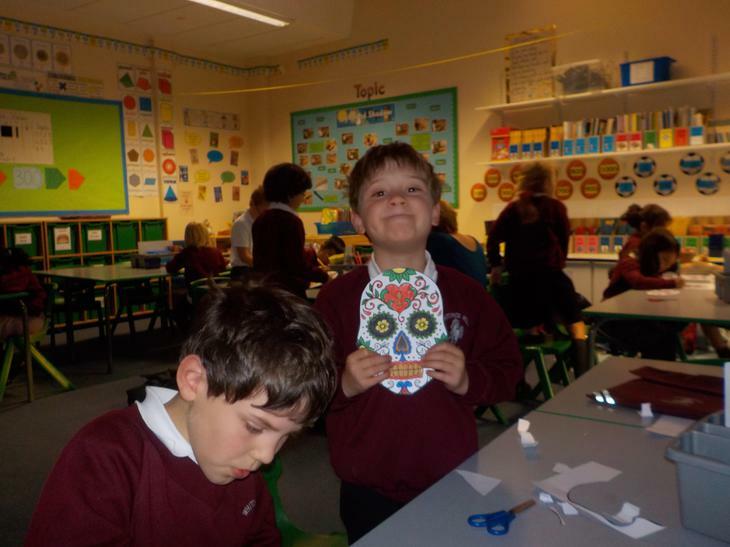 There is also a link to the Light Bulb Languages site. 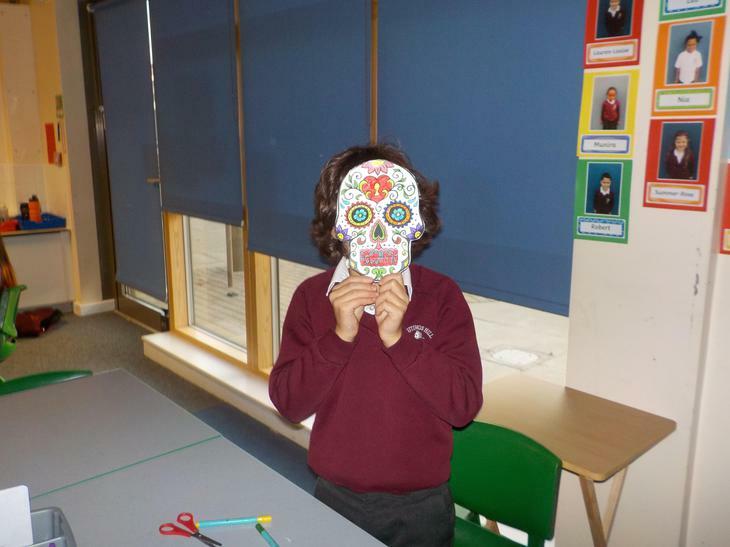 This site has a very comprehensive Spanish scheme of work which we are following at Whitings Hill. 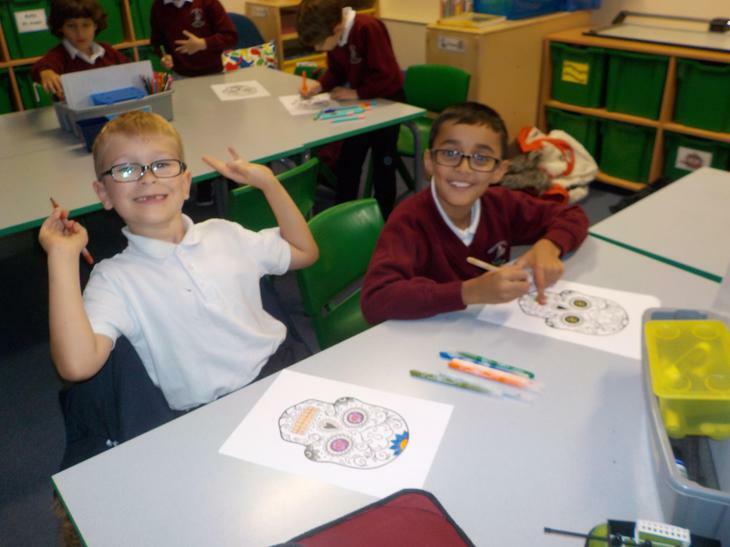 As all year groups have completed Year 3 of our scheme, September will see us continue to develop new vocabulary and phrases. 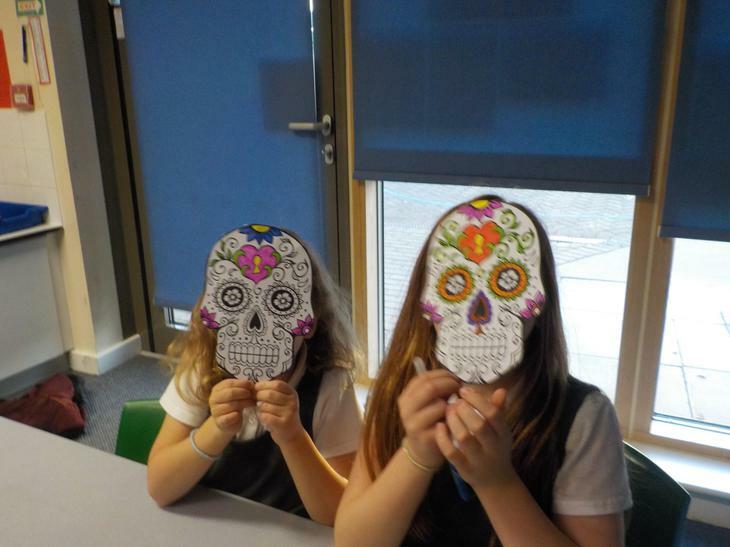 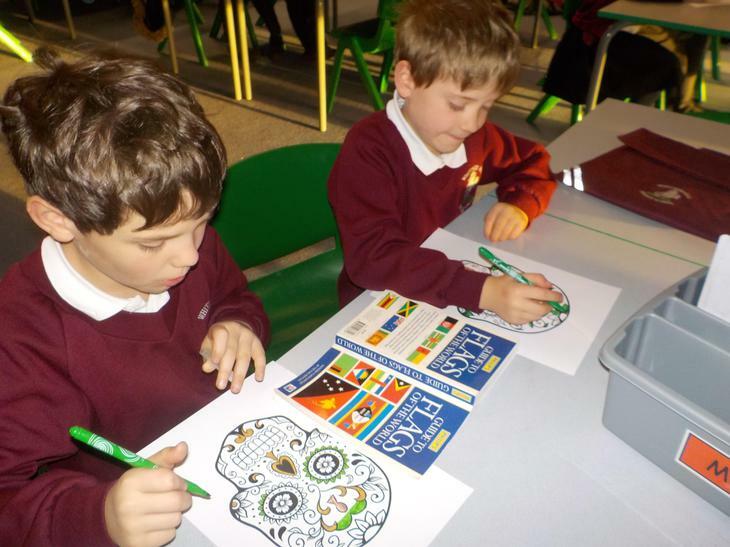 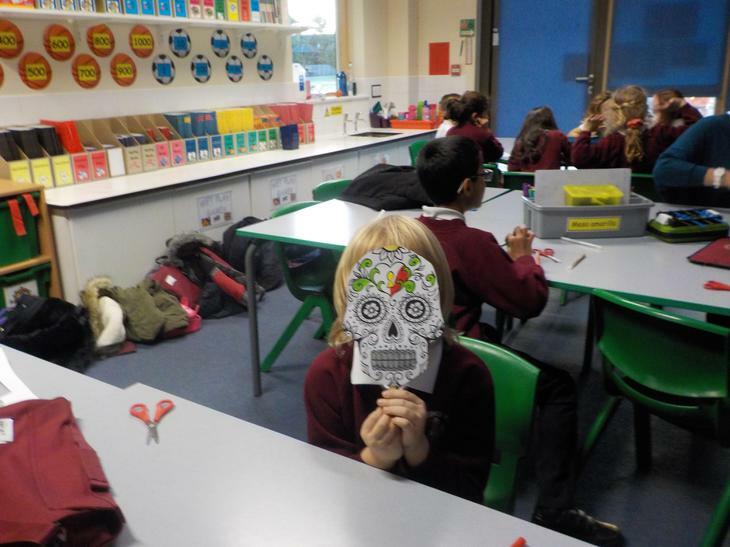 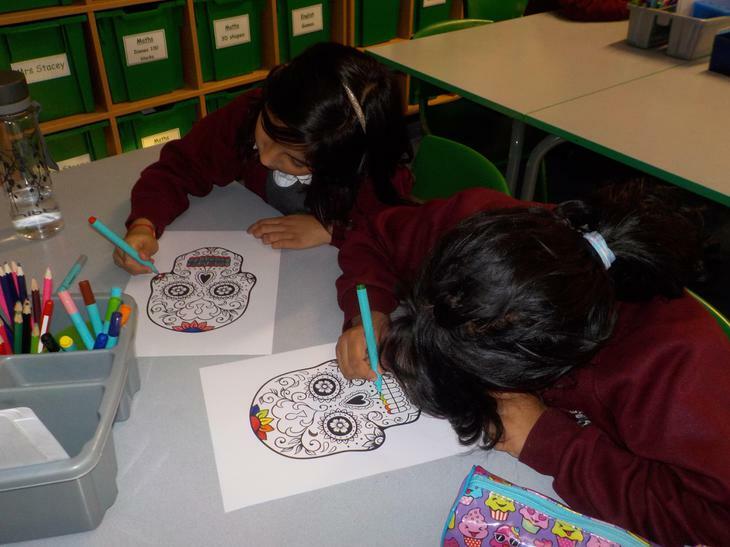 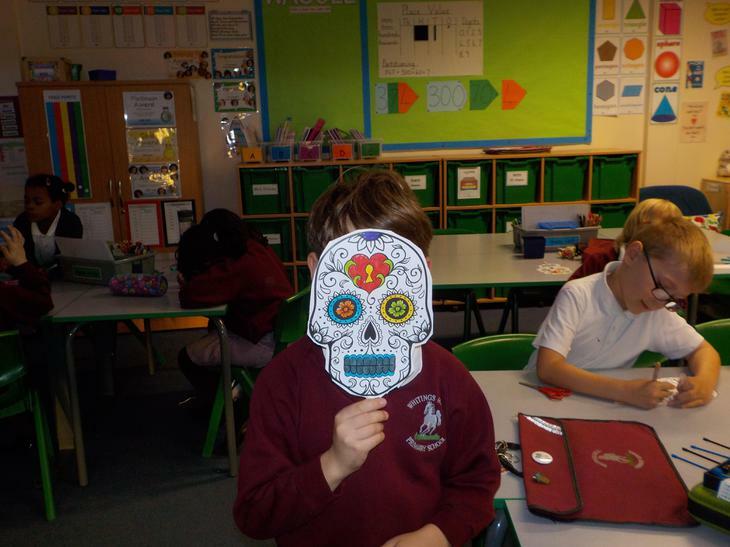 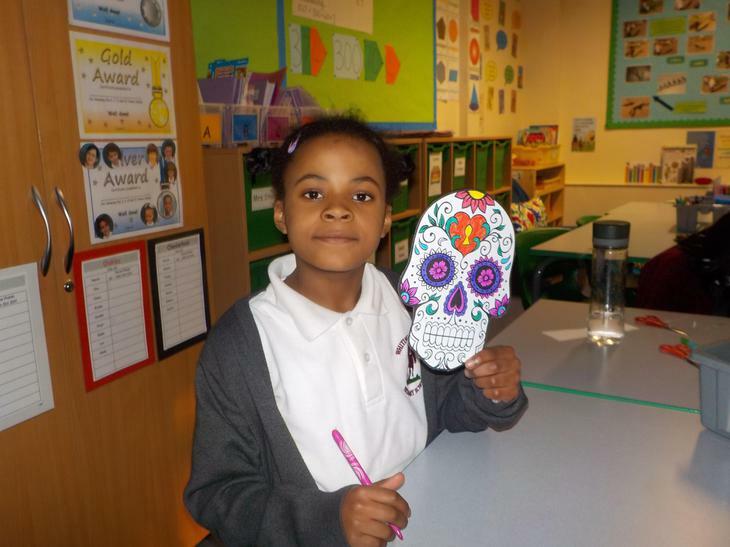 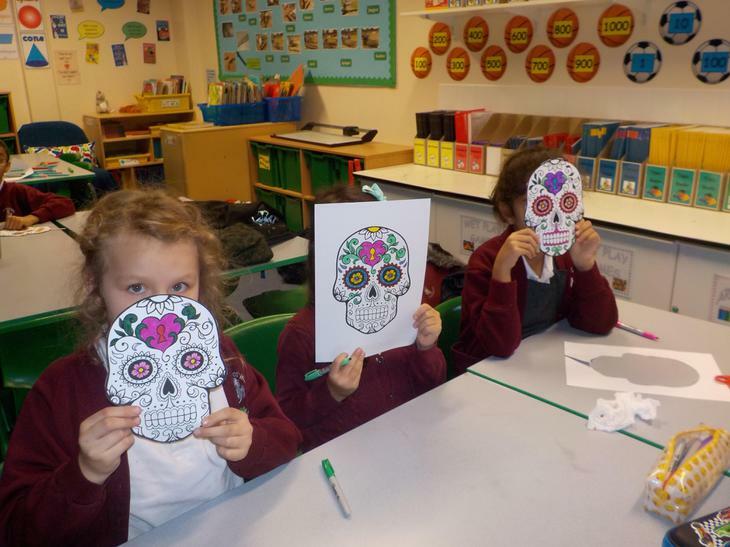 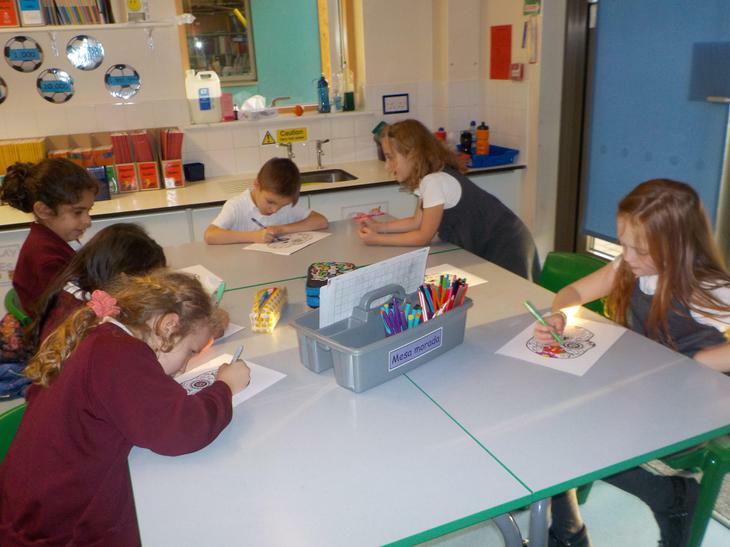 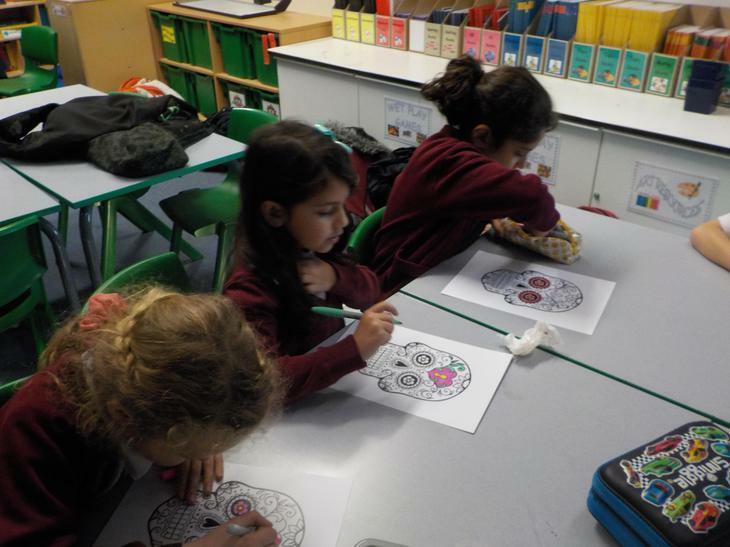 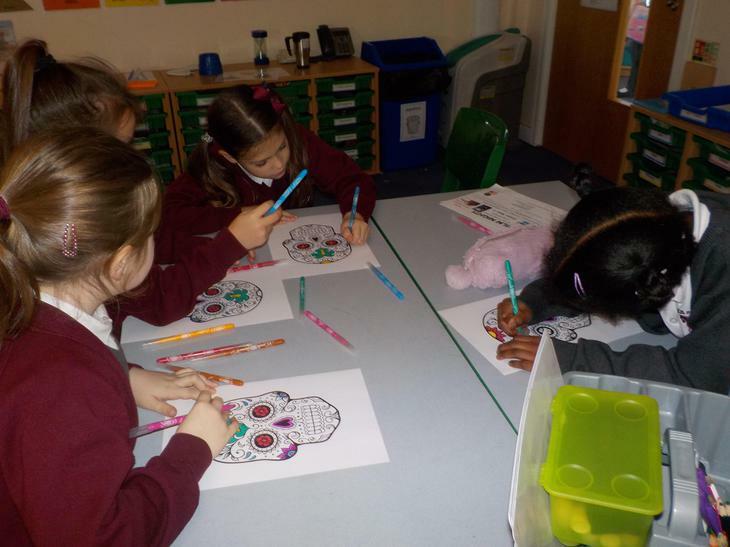 In Spanish Club we have been learning about El Día de los Muertos (The day of the dead). 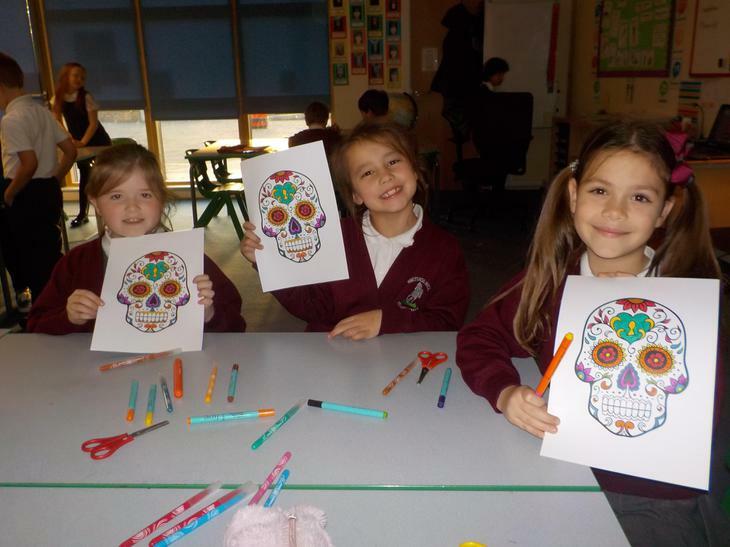 This is a special day for people in Mexico and some South American countries. 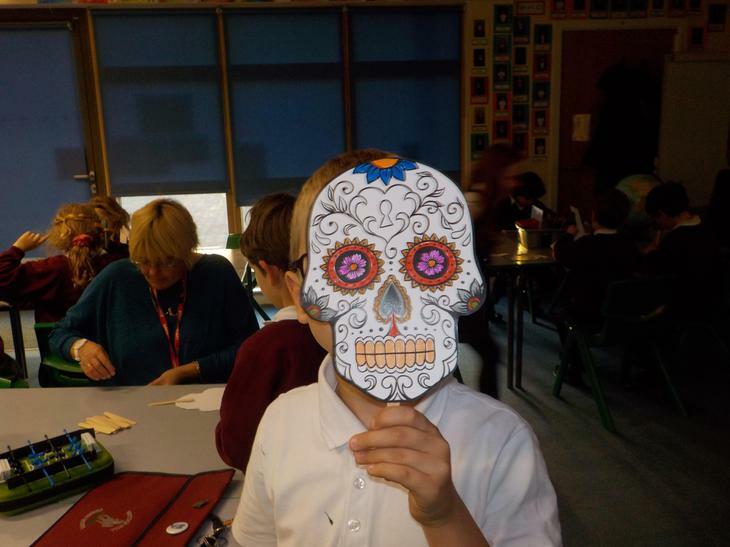 It is a time when families remember their relatives who have died by taking food, candles and flowers to their graves and celebrating their memory. 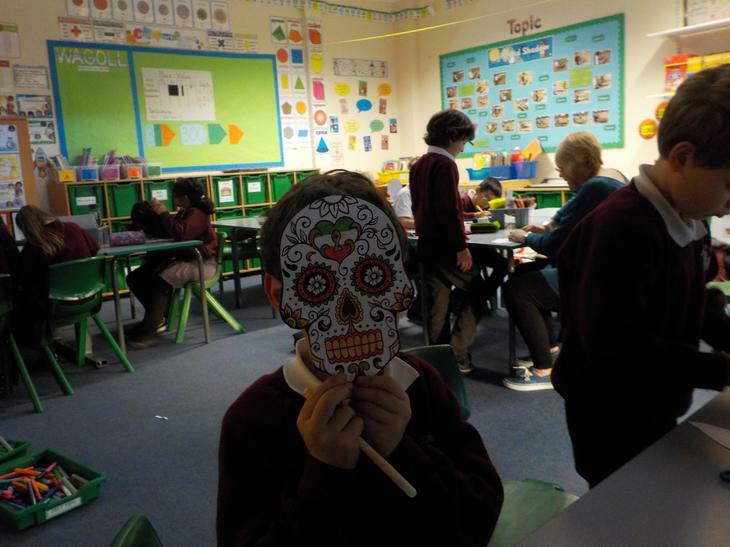 It can seem morbid to people outside of Mexico but it is actually a time of fiestas, parades and dances of love and happy memories.